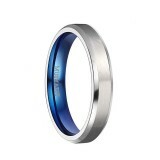 Womens titanium wedding band is the right choice for weddings, because it represents eternity. 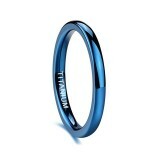 Titanium is light and anti-allergic, and more and more high-quality jewellery is made from it. Our designers have designed a range of high-end women's rings, from classic minimalist models, zircon inlays, abalone shells, to heartbeat style. Has its beautiful appearance captured your heart? 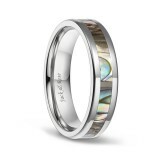 Titanium wedding rings are the best gift for loved ones. 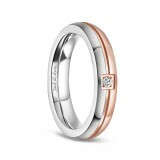 You can engrave the name of you and your lover on it to make it a witness on your blessed life.